Ingredients; Aqua (Water), Vitis Vinifera Seed Oil, Isopropyl Myristate, Cetearyl Alcohol, Hydroxystearyl Alcohol, Hydroxystearyl Glucoside, Glycerin, Butylene Glycol, Carbomer, Polysorbate 20, Palmitoyl Tripeptide-1, Palmitoyl Tetrapeptide-7, Benzyl Alcohol, Xanthan Gum, Sodium Ascorbyl Phosphate, Sodium Lactate, Sodium Pca, Glycine, Fructose, Urea, Niacinamide, Inositol, Sodium Benzoate, Lactic Acid, Dextran, Trifluoroacetyl Tripeptide-2, Tocopherol, Ginkgo Biloba Leaf Extract, Aesculus Hippocastanum Seed Extract, Acetyl Cysteine, Parfum. 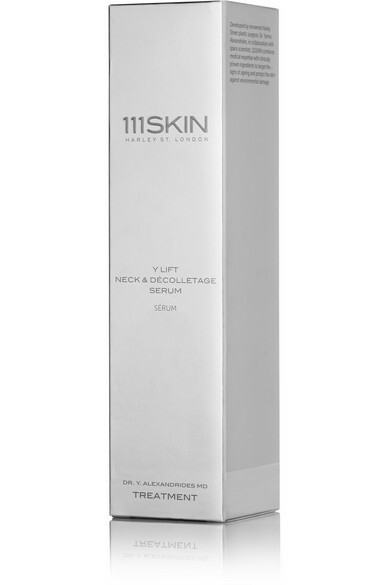 111SKIN's 'Y Lift' serum is specifically formulated to tone and tighten the skin on your neck and décolletage. This lightweight emollient is packed with powerful firming ingredients including Progeline to rapidly reduce sagging and antioxidant NAC Y2 to stimulate cells' natural repair system. 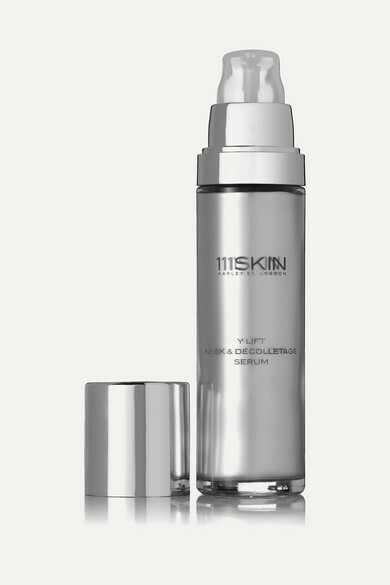 Fine lines and crepiness appear visibly reduced, leaving the whole area looking more sculpted and visibly hydrated.